Remember, unfinished builds from previous Sci-Fi campaigns can be entered and finished for this campaign. Klaus, could you pin this tread? Any suggestions for a ribbon for this campaign? topic has been stickied as requested. i will sort out the gallery soon as mentioned in our PMs but feel free to remind as I'm a bit busy in real life. I'm in with the Bladerunner Police Spinner. I'll probably build oob. Would love to light it up but I think it's beyond my electrical abilities. I still live in hope that we'll get the real deal by November of this year. For this one I'll be revisiting the Vampire Alien Ladies (VAL) theme. I'll be using the Pegasus T2 Aerial Hunter Killer kit to make a manned...or should I say 'womaned'...ground attack aircraft. 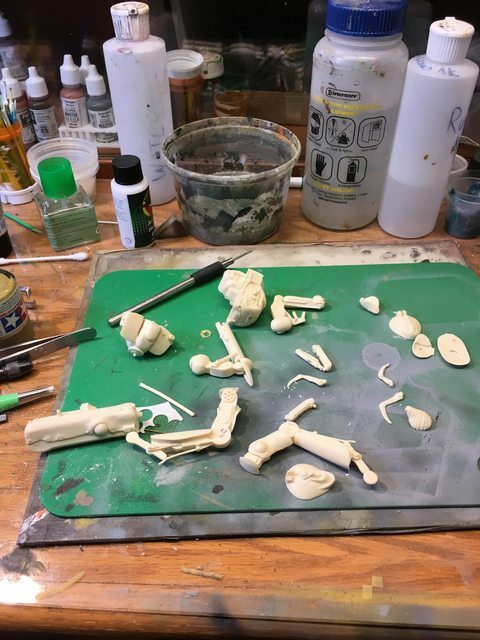 It will get a cockpit for a 1/35 pilot and probably new weapons loadout. Maybe even a little base where the aircraft is being shown to a group of new recruits. If time allows, a VAL tank kitbash using the Trumpy STRV-103. Perfect. Thanks a lot for your time and effort for this one, Klaus! Alex, great plans as always! Looking forward to see it after your excellent Mars Terraforming diorama. Stephen, nice choice. I have never seen this kit before. Looks like a beauty. Thanks Jesper, it's a really nice looking kit. Hard to find in this part of the world so when I saw it I had to grab it! It's a must have for any Bladerunner fan. Unlike the boxart, the supplied decals are screen accurate and they even give a couple of really nice Spinner badges to the door sides. The really great thing about this kit is that Fujimi have tooled it to be a quick easy build, almost with a novice or casual modeller in mind, but haven't compromised on the details. So it should make for a quick trouble free build. Gotta love these Japanese kits! I've also got a choice to make when it comes to painting. The full size driveable Spinner used on the set was painted a bright blue, almost like Nissan blue. But, the effects models were painted metallic blue. Both look equally good. So what to go for? Alex, your project sounds really interesting. Can't wait to see how it goes together. Removed by original poster on 01/16/19 - 23:02:08 (GMT). 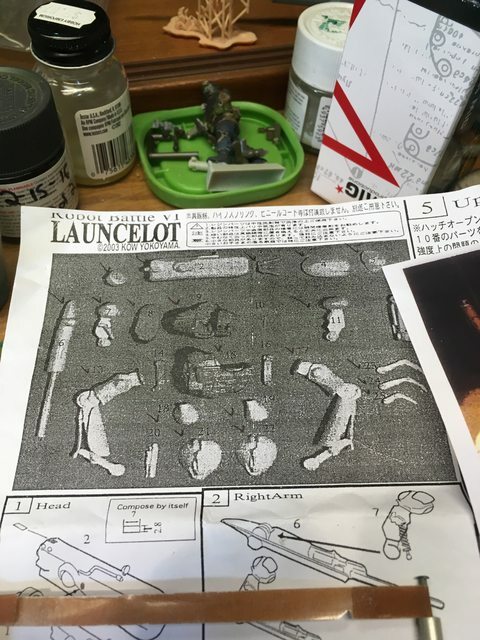 I'm in with early thoughts to work on a resin garage kit for the Launcelot by Kow Yokoyama (SF3D/MaK fame). Old, soft resin, giant attachment blocks, few to no references.. this will be a fun one. I'm in. No clue as to subject yet. Perhaps a Gundam or total armor what-if. Glad we have until March to figure it out! The idea is to see what can be made of this toy like kit. More to follow when the campaign gets started. good call on the AT-AT, i have the revell one as well as the new bandai kit but i'm not sure what to go with at the moment and i am trying to finish up on several other campaigns that i have fallen behind in... might go for the broken golf ball a.k.a the mini deathstar that bandai made. I have the Revell Last Jedi At-M6 walker partially built, constriction was almost the same as the ESB At-At. Legs are a little wonky on them but hold up. Still the kits can be built up nicely with a little detailing. 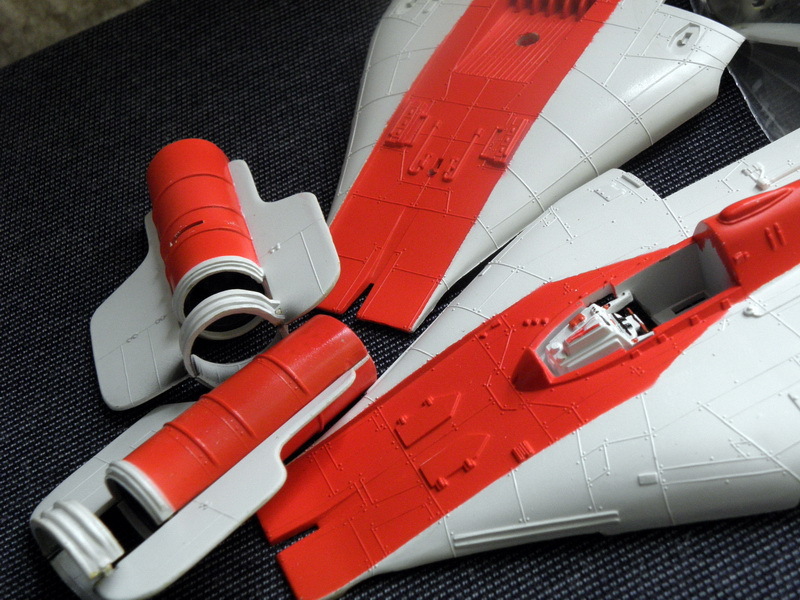 Here's the Last Jedi Resistance A-wing kit from Revell I did last year. Mostly out of the box, only thing I did was panel wash it and add some detail painting on the engines and cockpit. Looks very nice. I will check out those kits. 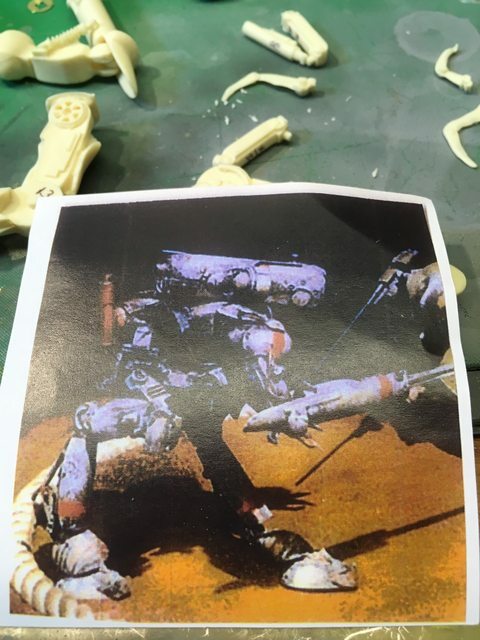 Im working on a diorama right now with the 1/144 Bandai AT-AT and AT-ST. Both of these kits have amazing details considering the small scale and I highly recommend them. Ill post pictures of the completed diorama. Im still trying to figure out what Ill actually build for this campaign though. Looks cool, Shawn. I also have the Bandai 1/144 AT-AT. I will use that kit as a guide to see if I can add some detail to the revell kit. Especially the legs and guns. 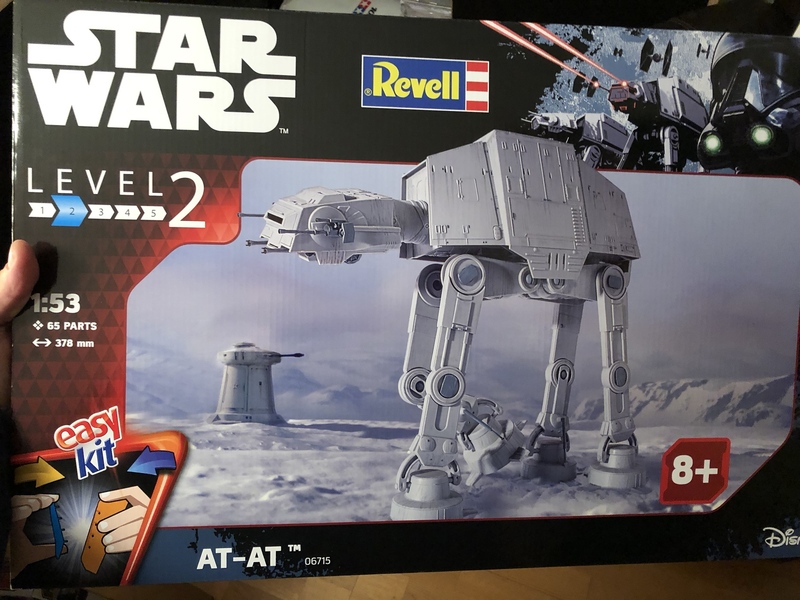 I've got a first batch Revell AT-AT still round my parents that I need to pick up. 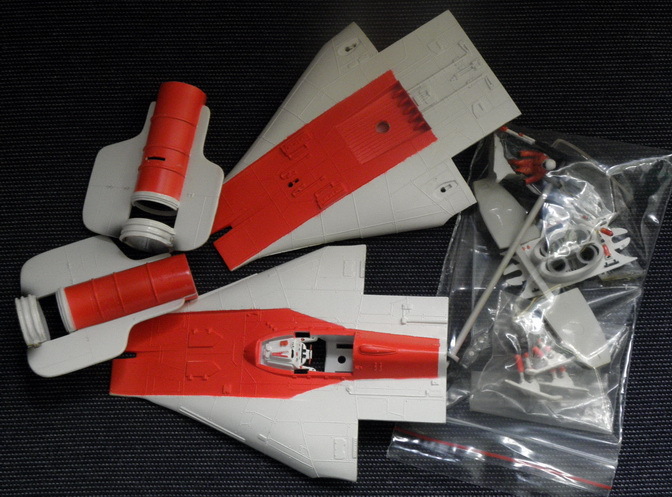 I remember it came with two left hand side body panels and I had to write to Revell to get the replacement part. Took ages and I just lost interest in the meantime. I do remember looking over the kit and spotting RR Pegasus engines between the legs and a German Armoured Car hull on its rear end. It's a little surreal to find scaled down parts from the old Airfix 1/24 Harrier and 1/35 Tamiya in a Revell kit! It should build into a fantastic model, so looking forward to seeing what you do with it Jesper. ... and talking about A-Wings... -nice one Casey! I have a few SciFi-thingies in my stash and would be glad to join here when my time allows. Probably I'll going to a separate log with the build but my main goal is to redo an AMT A-Wing if it fits to the campaign rules. I ever wanted to strip all the paint off and redo it completely as I build it in the 80`s just for fun but never went on seriously. Since it was only snap fitted. Thomas, your A-wing fits perfectly. Welcome onboard. Stephen, I noticed the back had a WWII german engine feel to it, but I suspected that might be from the original models from the movie? So nothing Revell cam up with, just something that was actually in the movies? A lot of studio modellers kits for parts back then. If it looked interesting, they'd use it! Watch Aliens closely and you can spot turrets from Tamiyas M48 and Geppard on the USS Sulaco. And an AMT Millennium Falcon was stood upright and turned into a skyscraper in Bladerunner as a nod to Harrison Ford's Han Solo character.